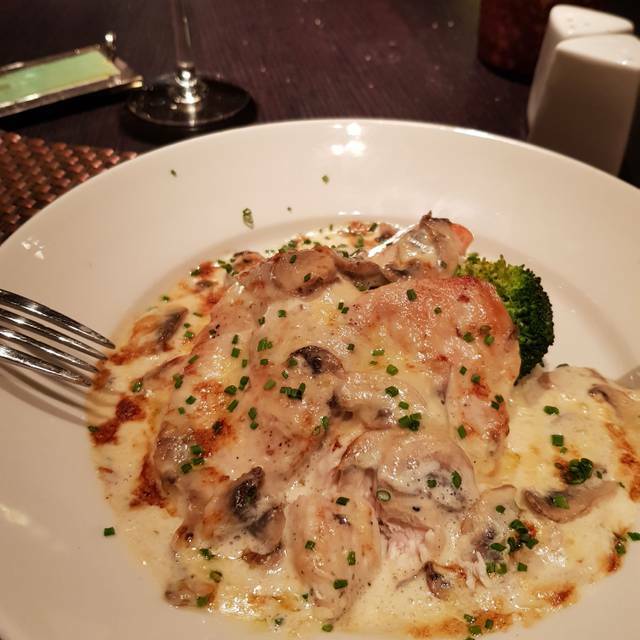 The meal at the Kylestrome was outstanding, loads to eat and our waitress was lovely, you could recommend this restaurant to anyone and they wouldn't be disappointed I had the lemon sole, outstanding. The early evening menu is excellent value. The portions are just right and the choice is fairly extensive. My fish and chips were delicious. Service was good. Choice on menu for vegetarians disappointing as was house white wine. It was OK. Friendly staff, lovely food, just an all round nice place!!! We have been dining out at the Kylestrome for years both with family and friends .We have never had cause to complain and they go above and beyond to make sure everything is perfect for you . First time for dinner. Thoroughly enjoyed our experience. Great and efficient service. Food was spot on and all for a decent price. Will definitely be back. Visited many time and always excellent. Would highly recommend. Few bits missing off the menu early in the evening, staff were polite, efficient an friendly. Overall a good evening. Absolutely delighted with our meal at the Kylestrome. 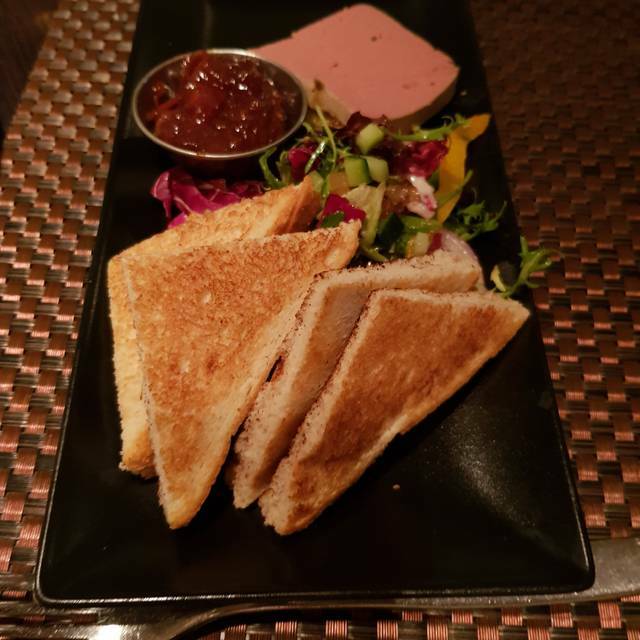 We often come to the Kylestrome for a nice meal and it never disappoints staff are very friendly and the food is brill! I’m not one for complaining, but on this occasion I felt compelled to. From the offset, I knew it wasn’t going to be a good night. Relatively lukewarm welcome to forgotten drinks to which the waitress said “you know what, I forgot to put them on the till”. Starters came in good time, no complaints there. Waited a bit for main courses, the lights were so bright above our table and the ambiance was near to non-existent. No one came near our table to even check back after mains had arrived. My Trio of Fillets consisted of chicken, battered pork and an overdone fillet. Had to flag down the waitress to make them aware of the issues we were having. Left to the kitchen to speak to the owner as he was cooking. Waited almost 10 minutes before she came back, cleared our plates then stated “I’ll see what the owner says and get back to you”, what was she doing for the 10 minutes? Came back after another, let’s say, 5 minutes and offered us desserts and took the mains off our bill (which was a nice touch but too far gone to be resolved) to which we declined, got our bill and left. No staff member could look at us never mind muster a goodbye upon departure which I found incredibly discourteous. I’m not too sure if it was 1) Lack of management to ensure staff are in correct areas at all times 2) Lack of leadership to ensure staff are in sections at all times to make sure all, if any, customers who are dissatisfied are dealt with promptly 3) A sheer lack of customer care and service. I hope this reaches the appropriate people and is received as the most constructive of criticism. Thank you. Only thing I would say was the service was a bit slow. Normally don't have a problem with anything. Avocado and langoustine starter superb. Rest meal very good and service great too. 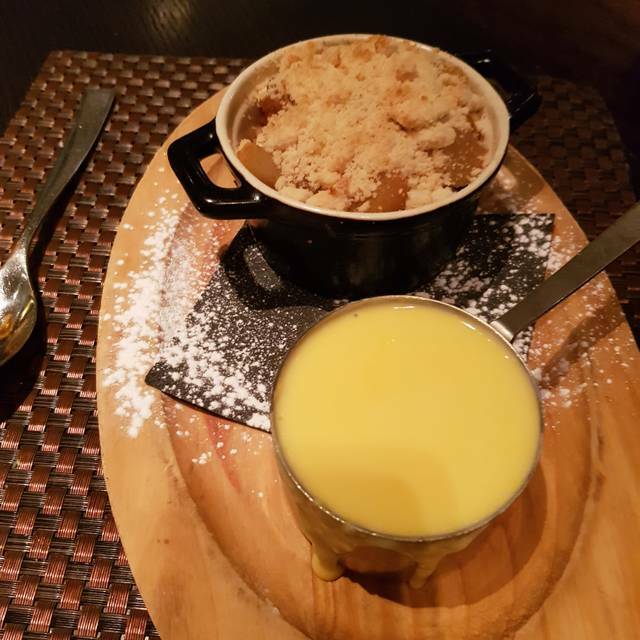 The staff are very helpful and friendly, lovely surroundings, food is always first class! Gorgeous inside and the food is amazing. We had the haddock, vegetarian lasagne, deep fried brie, prawn cocktail and soup and it was all delicious. I find the service at the Kylestrome very slow and tonight was no different but when our food arrived I was sure it had said on the menu mine came with a salad. However the girl that served us insisted that it didn’t so I left it thinking that it was a very plain looking lasagne with just some chips on the side. Another waitress came to ask if our meal was okay and I asked her and she said that it was supposed to come with salad and brought me one. We then waited for half an hour for our puddings to come. I don’t know why the service is always so slow and I feel the food isn’t what it was, not sure we’ll be back. Had a lovely meal here. Everything was perfect, service by very pleasant staff. Food is outstanding, love the Ayrshire baked ham. Can highly recommend. Used to frequent this restaurant often in the past and as we had friends visiting we thought we would try. The food was nice but had clearly been under the hot lights to keep it warm and looked bit congealed. The service was very poor! Apart from the lady who greeted us- slow and uninterested staff , not attentive whatsoever! Young waiter was really friendly and efficient. Have been a few times now and never been disappointed. Can get a bit noisy when there are large groups in. We had lunch a few weeks ago which we thoroughly enjoyed, although we had to request that the volume of the music be turned down as we couldn't hear each other speak. However we returned on Sunday with some friends who had never been to the Kylestrome before, and the meal was a great success. Each member of our party chose something different from the menu and not one of us was disappointed. 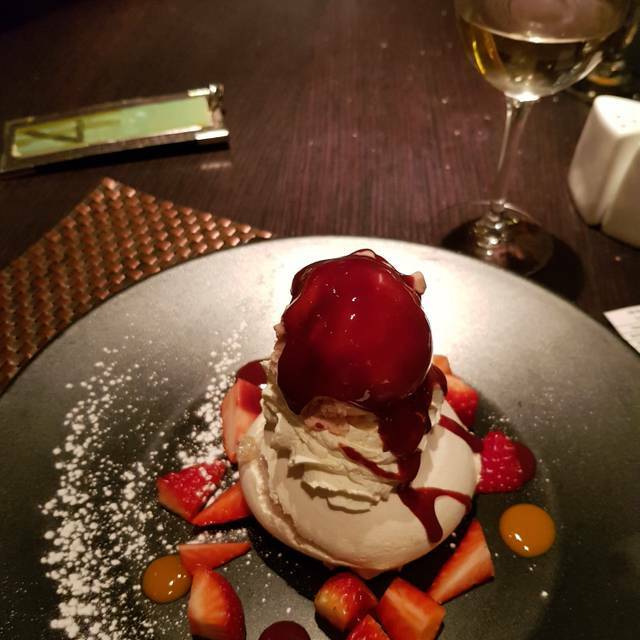 The food and the service was excellent and we were served very attentively by the staff . We will certainly be visiting this lovely hotel with some regularity in the future all being well and would strongly recommend it to anyone who has not done so. Happy with service and quality of food at our table. Was a busy night and had a good atmosphere. Excellent as ever and very worthwhile. Has the tendency to be the best meals in town, if not Ayrshire. First class dining as always. Great food at great prices. Very good overall. One of our party was vegetarian and there could have been more choice. Without any box ticking- this is simply my first choice eating place in Ayr. 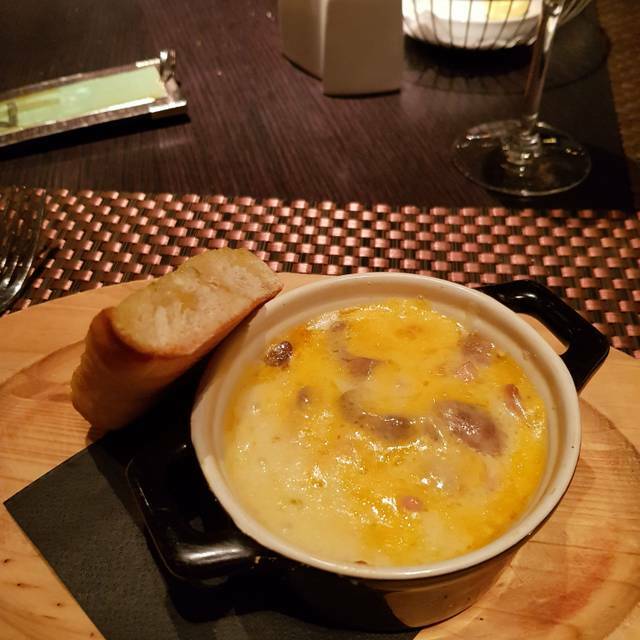 Very enjoyable, food very good, service excellent and staff friendly, nice ambiance. Service was appalling, no table checks. Glasses and plates left on table for a considerable time until we finally found someone to clear the table and pass on our complaint to. 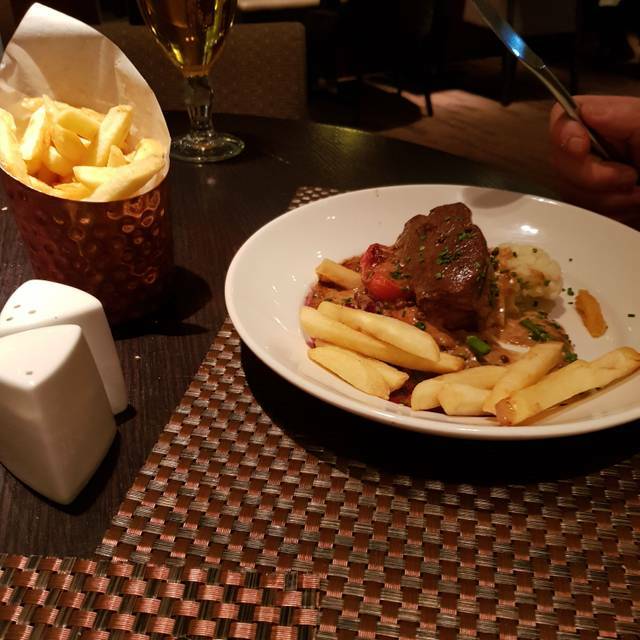 Sent back undercooked chips, steak was mediocre. Won’t be back. Excellent meal once again. Staff friendly and good service.